Cluttered geekery: how many gizmos are quite enough? That is about 24 devices for just four people. The number is much, much higher for a household where one or more adults work in the high-tech industry, also known as the IT industry. The question, then, is whether we need so many devices or whether we should try to return to a simpler time. Ask anyone and they may say: “Oh, life was so much simpler back then. But, I can’t imagine life without my (insert gizmo name of choice).” We, as a people, have become quite dependent upon our devices. We go so far as to name them after our favorite characters. Much as our grandparents collected pet cats-dogs-horses, we collect gizmo-pets. Charming as it may seem, this tendency to personify our devices and grow attached to them at the hip is working against us. Our lives are getting more and more cluttered with unnecessary items that edge out the items we really do need. If you look at the previous list, the household only needs one computer for everyone. One computer per adult and at least one computer shared by the two children: Just one computer is enough. Why not set up a kiosk in a study or den area where different people can use the computer at different times? The chances that two people need to use the computer are quite slim. There is no point in preparing for a “computing emergency” by stockpiling computers. If the children do need their own personal computer, think about getting them a tablet device instead. Those Samsung Galaxy tabs or iPads are useful for more than just playing games or watching videos. One printer, scanner, copier, and fax machine: The easiest way is to have a device that can do all four things. You have just cut down your device needs to a quarter of your original needs. One or more gaming system per child and adult: Another out-of-the-box idea is to set up a gaming network within your home. Use your entertainment system to set up a family game room where everyone uses the same gaming system. There is no need to have mom’s fitness game, dad’s shoot-em-up game, or the kids’ learning games set up on different systems. Find one system that does it all, and reuse it for everyone. If this process helps you find a happy medium where everyone spends more time together as a family, it’s a win all around. Just by consolidating a few devices, we went from 24 items to less than 10. Apart from the obvious benefit of reducing clutter in our homes and living spaces, we can also help the environment by cutting down on our electricity consumption. And that’s why I think that instead of making unachievable resolutions like “lose 20 pounds by May”, we must make a resolution to cut down on the number of devices that we own and with which we clutter our lives. If someone from the 1960s were to visit us today, the first, but not really the only, thing that would blow them away is how well-connected everyone is with everyone and everything else. We are Facebook friends with people we barely spoke to in high school. We follow celebrities, who don’t know us from Adam, on Twitter. We join online forums and fandoms to discuss intimate details of our interests with like-minded individuals. We give instant feedback about the movies we see or the song that we just heard for the first time. We share photographs from our lives with perfect strangers on photo-sharing websites, hoping to learn some never before understood photography technique. We take seconds to open a browser and search for the information we need. We are able to get “expert” opinions from people on the Internet on whether that soreness in our back is because of sitting too long or is something horrible like a slipped vertebrae. And yet, we are moving farther away from what defines us as a people. We are losing touch with doing things just for the fun of doing them. How many of our Facebook friends have said “pictures or it didn’t happen!” for a status update about something amazing that we did? And so we feel obliged to add pictorial evidence of having gone scuba-diving or rock-climbing. Such a fun statement, and yet the sentiment behind that statement reveals an awful undercurrent: if the world doesn’t know what we are doing, we are not doing anything worthwhile. We are losing our ability to collect, retain, and process information. That Wikipedia page explaining backaches may get us to exclaim “awesome!” but how much of it do we really retain? We read that page, and then go back to sitting on that really horrid couch while slouching in an attempt to get comfortable. We are growing apart from what connects us with the people around us. No doubt, there is merit in being able to talk to other fans and collectively squee about a book from our favorite author. But the time that we spend on that fandom website is time that we have taken away from the real people around us. Telling 200 Twitter followers that “This new restaurant is a gastronomical delight!” is not quite the same as telling your friends “This new restaurant is amazing, let’s go eat there sometime.” Arguably, you could say that on Twitter, but do you really want a random guy living 5 states away showing up at the restaurant when you are waiting for friends? We live in a world of information overload. Each one of us feels the need to be connected with the world every hour of every day. None of us can imagine life without updating our Facebook and Twitter feeds with–sometimes irrelevant–information. The question that the guy visiting you from the 1960s is going to ask is: “whatever happened to good old going outside and throwing a ball around with friends?” And that is the question we need to ask ourselves as well. May be what we need to do, is to take a step back and disconnect from the online world and connect with the real world. I was wondering why Apple is more successful than other companies out there. Why is Apple’s growth phenomenal even through the recession? What is it that Apple is doing right? What is Apple’s mantra for continuous success? I have heard many reasons for Apple’s success such as: Apple has a cult following, People are crazy about Apple products, Apple is a good marketer, Apple’s secrecy is the reason for success, and the very best It was only because of Steve Jobs’ charisma. There is a perfectly logical reason for Apple’s success. Let’s analyze what Apple is doing differently. 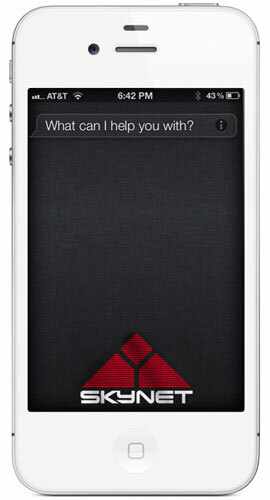 Apple creates both hardware and the software for that hardware. The hardware specifications for each device type (smartphone, tablet) are exactly the same. When programmers write the code for the software, they have a uniform hardware platform to work with such as CPU, memory, or GPU. As a result, they are able to create a uniform operating system. A uniform hardware and a uniform operating system lead to a Uniform User Experience. Android is an awesome operating system. However, the Android market is extremely fragmented with multiple hardware devices and hence, developers need to write different drivers for different hardware specifications. Screen resolution, input buttons, processing speed, memory, and Internet speeds are widely different for different Android devices. Android, in spite of being an amazing operating system, is thus unable to provide a uniform User Experience across all its devices like Apple. While writing code for Apple apps, programmers can work with very uniform hardware and operating system specifications. However, for Android Apps, multiple devices and multiple operating systems need to be considered. It may not be possible for the Android apps to be tested and optimized for every hardware device out there. But what does a Uniform User Experience mean for the success of the company? How does a Uniform User Experience translate to becoming the world’s most valuable company? How does a Uniform User Experience translate to a 100 billion dollar cash hoard? 2-3 years – Crayola Apps and devices for the iPad are used for kids to draw and enhance their creativity. Technology is being used at such a young age to do the same thing that was done using colors and papers. 10-16 years – Games are a huge hit in this age group. Thousands of games are being used today by pre-teen and teens today. 16-20 years – Social networking and music are a great hit. Again, the User Experience is uniform across all devices for the same App. 20+ years – News, Cooking, Games, Social networking, Music, Utilities and thousands of apps for every age is available today. Each App provides a Uniform User Experience for all users. Android is a formidable opponent for the iOS. If there was a single hardware device (say Samsung Galaxy II, or Samsung Galaxy Tab), with a streamlined and exhaustively uniform Android operating system, the landscape of the mobile market could be very different today. Meanwhile, there’s always an Apple App a day for every age. There are a lot of cloud storage options available today – Dropbox, SkyDrive, MozyPro, Carbonite, and many more. But here’s my problem: I already have a 2TB external hard drive where I store all my files at home. Copying around 1.5TB of data in the external hard drive to the cloud is very expensive since I would need to buy (or rent) the space, and pay a monthly charge. Plus, I lose the option of plugging in my external hard drive and copying my data from my computer directly. The question then is: how can I transform my external hard drive into a secure cloud? The answer is simple: Pogoplug. Buy the Pogoplug device from Best Buy for under 50 dollars. The Pogoplug device has 4 USB ports and 1 Ethernet port. Just plug an Ethernet cable to the Pogoplug device and connect it to the Ethernet port on your cable modem or wireless router. Now, plug in your external hard drive to one of the USB ports. From your laptop or any other computer on the same network, just go to Pogoplug.com and activate the device. Enter your username and password to complete the activation. You are done! It’s plug-and-play. Your external hard drive is your cloud! That’s right. You can access your external hard drive via any browser and upload/download the files. The capacity is limited by the size of your external hard drive. Share files with anyone, anywhere. Select the file/folder you want to share and Pogoplug will send an email with a link to the recipient who can then download the files. Use the Pogoplug app on your smartphone. I use the Pogoplug app for the iPhone and it is really cool. Just launch the app and all the photos and videos on your iPhone are automatically synced to your external hard drive over 3G or Wi-Fi. Pogoplug automatically categorizes the files as per the month or date they were taken. Play music or videos remotely. You can play music from your external hard drive via your smartphone or the Internet remotely. Pogoplug optimizes the videos and music for you. You don’t really need to copy your music between devices anymore. Set up a Backup or Redundancy. Here’s the coolest feature. Just plug in another external hard drive and select a folder from the 1st hard drive to be backed up to the 2nd hard drive (via Settings>Backup on your Pogoplug online account). Whenever a file is added to the 1st hard drive, it is automatically copied to the 2nd hard drive thereby creating redundancy. The chances of both hard drives failing at once are extremely rare, so your data is safe. Print remotely. Plug in a printer to the Pogoplug device via USB and you can remotely print over the Internet or via your iPhone. Make sure Pogoplug supports your printer. Automatically copy files from multiple computers. If you have multiple computers in your home/office, it’s a headache to backup the data from all the computers. Install the Pogoplug software and select the folders to be copied automatically (via the Active Copy feature). The files are automatically synced to the external hard drive. This is extremely useful for multiple home users and small businesses where data from multiple computers need to be backed up. Use the Bonus Cloud Storage. When you create an account online, you get a 5GB cloud storage too. You can keep your work-in-progress files here just in case the power goes off and you cannot access your external hard drive. Of course, if you have a UPS, you may never need this feature. With a Pogoplug hardware and an external hard drive, you can build and run your own cloud. Small businesses can use this setup to cut down costs and store important files within their on network instead of putting them up on the Internet. It’s as simple as that – your own cloud for zero dollars a month. Software and Hardware are different worlds – for the user as well as for the Technical Writer. A different outlook is required for Software Technical Writers to scale up and write a Hardware manual. There are many tasks performed by the user in the hardware world. For example, assembling the product, installation, and servicing. And these tasks are what helps estimate the effort and gather inputs for our manuals. To get a better idea of how to structure your document, go to the hardware lab and request the manager to show you a dissembled piece of the product. Go through the assembly and installation process. Ensure to use a Task-based estimation model for estimating the effort required to write the manual. While studying the system, be extremely careful about touching or moving the components of the particular product. You might require a briefing from an engineer before you handle the components yourself. This might be a frustrating experience at first, but the training will go a long way to help understand the hardware components and how to handle them. Conventional Terminologies vs. Industry Standards In the software world, we use terminologies like screen, field, checkbox, task bar, and menu. But, in the hardware world, many terminologies are used which are very different. For example, you might use names of connectors, wire, boards, semiconductor, or FPGA etc. Each of these components has a specific nomenclature as per industry standards. For example, a connector might be an RJ-11, RJ-12 or RJ-10. A wire might be a 9AWG or 23AWG (American Wire Gauge). Put in a good amount of research to understand the terminologies for your hardware domain. This will help you phrase the right questions for the engineer. While writing software manuals, we are satisfied when the engineer says that an object on the application is a ‘Screen’ or a ‘Menu’. Mainly because we know what the engineer is referring to. We also know that both the developer and the writer refer to a ‘Field’ in the same manner. We understand it when the software developer says ‘Hey, the order number field is numeric’. The consequences of replacing the description of a numeric field with an alphanumeric description might not be catastrophic. Whereas, in the hardware manual, replacing a 9AWG wire with a 23AWG wire might lead to your product going up in smoke! A wire has many characteristics such as AWG, Voltage, Flame Rating and UL Rating. Be particular when it comes to specifying names of your hardware components and their type. Screenshots vs. Illustrations Obtaining screenshots for your software manual is easy – press the Print-Screen button and you have the screenshot for your product. You can further edit your illustration using various tools. For Hardware manuals, you need to use complex engineering drawings generated in CAD. You may not always be trained to create such complex drawings. In such a scenario, contact your product designer to use the illustrations created at the product design stage. Illustrations from ProE or AUTOCAD can be exported to Adobe Illustrator format. Adobe Illustrator files (with extension .ai) can be imported or inserted in the hardware manual using FrameMaker. These illustrations are extremely difficult to create if you have not been trained in CAD. However, you can easily manipulate these illustrations in Adobe Illustrator. For example, you can add captions and change the size of the illustration using Adobe Illustrator with little or no training. CMM vs. UL Software projects go through CMM certification to ensure that they have a high level of predictability. But some of the software products and projects are delivered to the users without CMM certification. Consequently, the product documentation also goes to the users without the CMM certification. Hardware products have to be evaluated by Underwriters Laboratories. Unlike CMM, this evaluation is mandatory. Products are evaluated in terms of their reliability and safety. Electromagnetic radiation, exposure to laser and proper grounding are some of the factors considered for evaluation. Hardware manuals have to carry the appropriate Restriction of Harzardous Substances statements (RoHS). Many substances like batteries, semiconductors, and other hardware materials are hazardous to living beings and hence proper RoHS statements have to be added to the hardware manuals. Not adding statements for certification or improper RoHS statements might lead to disastrous consequences. First, the product might not pass the UL certification leading to additional expenses for the company. Second, and the most critical consequence, will be that the user might not take proper safety measures and might be injured while using the product. This situation usually leads to a lawsuit. And if document does not have proper safety statements, the company has to pay millions of dollars towards settlement of the lawsuit. Not to mention the damage that such a lawsuit will cause to the company’s reputation. Work closely with your certification and legal department to ensure that your document is compliant with all certification and has the adequate statements. Could E.T. Solve Our Technology Problems? Alternative Sources of energy – Crude oil is scarce. We have about a 100 years worth left. After that, the world will come to a standstill. We need to quickly use alternative sources of energy and make it commercially viable. What about Nuclear Cars like the Nuclear Submarines? Sounds interesting? Cure for diseases – Not just a cure, but how do we prevent cancer and other dreaded diseases? How about improving medical technology such as cryo-surgery or Gamma knife? Supercomputers – How do we build supercomputers that help us solve huge problems in nanoseconds? Artificial Intelligence – How do we create and control Artificial Intelligence? Global warming – How do we solve the problem of global warming? With all the research underway, what can we do to speed up this process? Well, maybe we could get it touch with ET. Communicating with Extraterrestrial Intelligence will eventually help transfer their technology to us. Do you want to communicate with ET? Really? Is this a joke? Or science fiction? No – it’s real. The SETI Institute (Search for Extraterrestrial Intelligence) helps us do just that. The SETI@Home project is the world’s biggest distributed computing framework started in May 1999 by the University of Berkley. Today, more than 5.2 million users across the world ‘donate’ their computing power to analyze radio transmissions from outer space. SETI@Home uses radio telescopes across the world to listen to narrow-bandwidth radio signals from outer space. Such signals are not known to occur naturally, so detecting such signals would show evidence of extraterrestrial technology. But there is way too much data to analyze and that’s why they need our help. You can assign how much CPU power you want to donate during idle time. Imagine the number of times we leave our computers ON overnight! Running the BOINC software will help SETI@Home use a bit of your processing power to analyze radio transmissions from outer space. I have installed the SETI application at home (don’t install it on your work computer since your boss wont be pleased to see you searching for Extraterrestrial Intelligence at work). 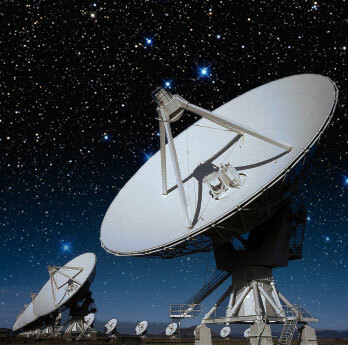 Using the SETI application, we could help speed up the process of getting in touch with Extraterrestrial Intelligence. Future technology could help us solve today’s problems on Earth. If you are worried that something like Independence Day or Battle Los Angeles will happen, it might just turn out that ETs are extremely friendly. Once you start searching for alien life forms, make sure you bolt your door at night. If you hear a strange sound, don’t be surprised to find ET outside your door waiting to phone home!